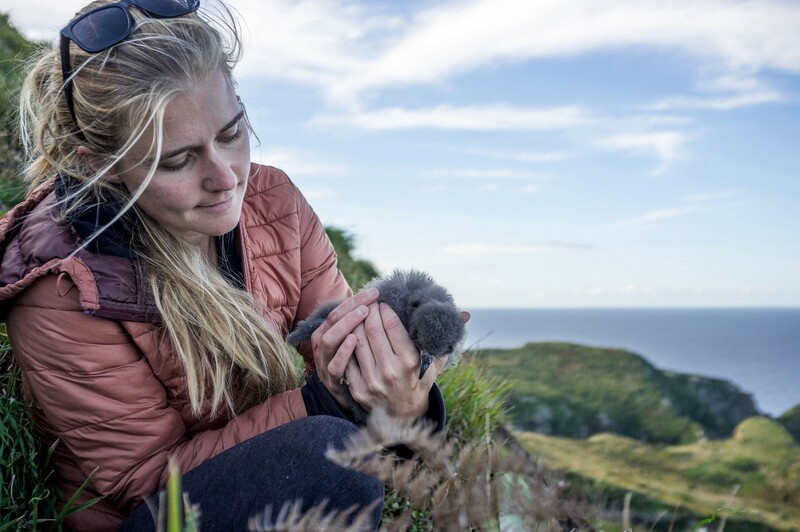 When we first came across the work of Fulbright National Geographic fellow Abby McBride (33) on the Nat Geo blog, we were intrigued and fascinated by her ‘Victorian Naturalist’ style portrayal of the extraordinary efforts to save endangered seabirds in New Zealand. 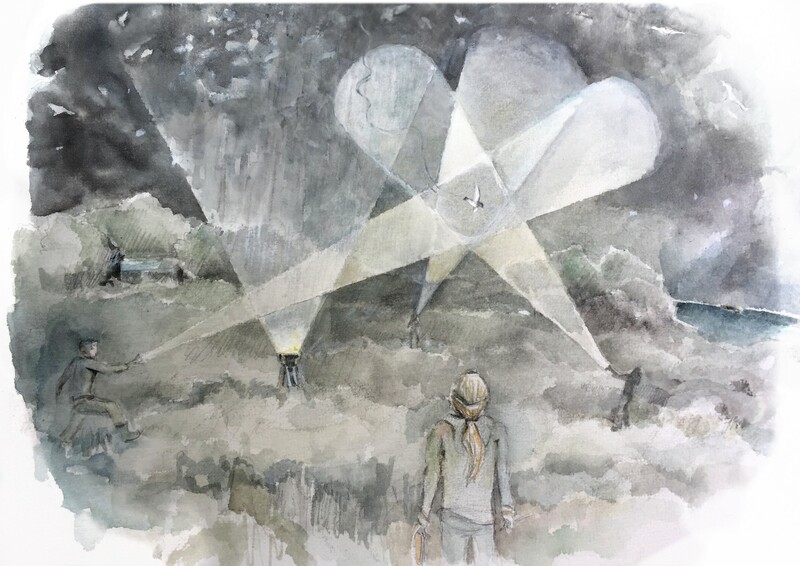 Combining sketch and watercolours with digital media, Abby hopes her conservation stories will have far-reaching impact — inspiring people from all walks of life to protect and appreciate the natural world and all its inhabitants. I live in Downeast Maine when I’m not traveling. 2. Where did your love for wildlife / conservation come from? My love of wildlife goes back as far as I can remember. My grandmother was a naturalist and conservationist who encouraged those interests in me and my siblings and cousins. About half of us have gone into nature-related fields. 3. What made you decide to combine art with biology? 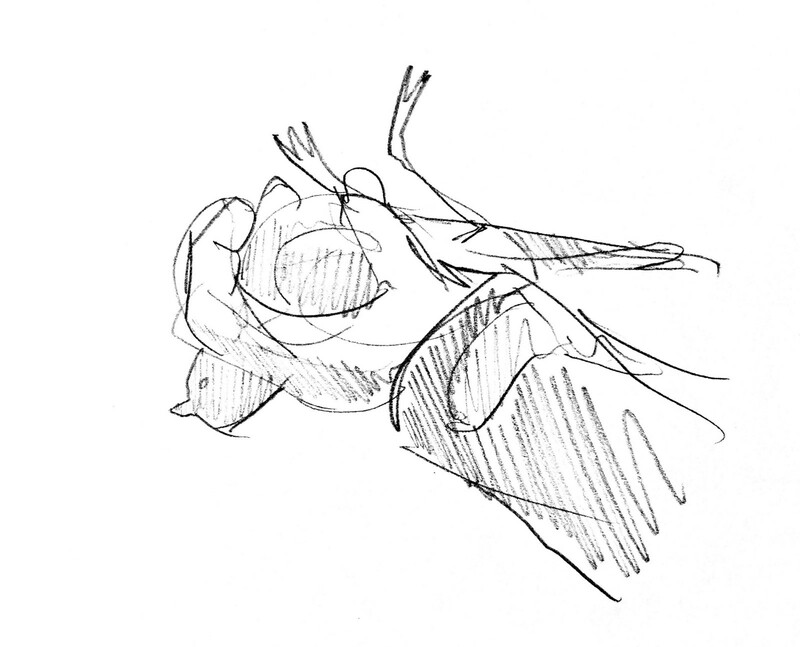 I’m pretty sure I’ve been drawing since I could hold a crayon. Academically I focused on biology and ecology, but after graduating from college, I decided to try freelance wildlife illustration, which I pursued as a side project for several years (while also being a lobster boat helmsman, a pastry chef, a swimming instructor, and a few other things). Then I figured out an even better way to combine my interests in art and biology: I did a graduate program in science writing at MIT and started writing and illustrating stories about science, nature, and conservation. I think art can be a uniquely effective medium for drawing readers into conservation stories, no pun intended. I’m always experimenting with new ways of telling those stories, using art as well as different digital and social media. 4. In 2017 you were announced as a Fulbright National Geographic fellow what does this mean to you and how does it impact or influence work? I got a Fulbright–National Geographic Digital Storytelling Fellowship to spend nine months investigating an issue of global importance while publishing stories on the National Geographic blog. With my project, I’m aiming to raise awareness of the extraordinary efforts people are making to save seabirds in New Zealand, which has the most diverse and endangered seabirds in the world. I’m in the final stretch now, after half a year of living out of my car and tent, driving around the country, and catching boats to far-flung islands where seabirds nest. It’s been even more rewarding than I’d hoped. 5. What has been your most exciting/ challenging work so far and why? The last few years have been full of exciting projects in a range of locations — Iceland, Bulgaria, and Borneo, to name the most recent ones — but my current project takes the cake for thrill and difficulty level. Planning and executing such a massive project has been very challenging but has led to some incredible experiences all over New Zealand. 6. Do you have a favourite story you’ve worked on and why? I would have trouble picking a favorite story. One top contender is my recent trip to Little Barrier Island to study the “extinct” New Zealand storm petrel. Not long before that, on the other end of the country, I had a chance to abseil down a cliff to find a secret colony of fairy prions. 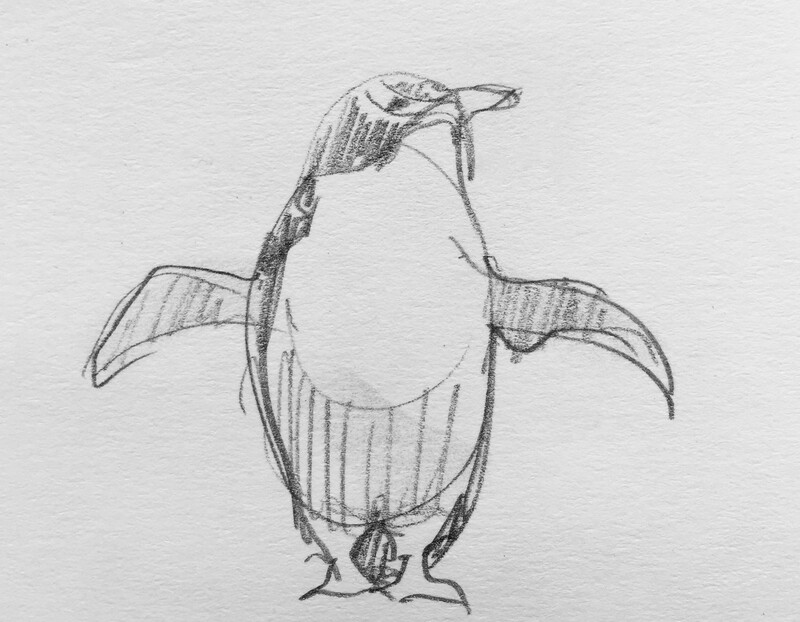 And prior to that I voyaged to some subantarctic islands to monitor endangered yellow-eyed penguins. You can see why it’s hard to choose. 7. What impact do you hope your art will have in the world of conservation? I hope to catch the eye of someone who wouldn’t otherwise care about the plight of a storm-petrel or prion or other creature they’ve never heard of before. Beyond that, my art can sometimes provide insights that can’t be captured with photo or video or other media. It has the potential for increasing people’s awareness, appreciation, and understanding of nature, and I hope to take advantage of that as much as I can. 8. It seems you are particularly passionate about seabirds. Can you explain why and tell about some of the work you have done? For my fellowship, I chose to focus on seabirds because they represent an intersection of some of my biggest interests: birds, the ocean, and conservation. Seabirds are one of the fastest declining groups of animals on earth, and they’re vitally important as apex marine predators and nutrient cyclers between land and sea, to list just a couple of their roles in global ecosystems. My background with seabirds includes experience studying Nazca boobies in the Galápagos and working with Project Puffin on coastal islands in Maine. 9. What projects do you have coming up next? When I return from the fellowship in June, I’ll go to National Geographic Society headquarters in Washington, D.C., to present my project. Then I’ll spend some months wrapping up my stories from this year, and working on other final products before I dive into anything new. I have a bunch of potential projects waiting in the wings but nothing set in stone yet. 10. What does the world wild mean to you? To me, the word “wild” brings to mind the world’s biodiversity: its breathtaking array of interconnected species, the product of billions of years of evolution. The next thing that comes to mind is the speed with which that global treasure is being lost. Perhaps the most fundamental prerequisite for conservation, uphill battle though it is, is for people to recognize the value of the other organisms that share the planet with us. I hope my art and stories can be a gateway for that. Wild Ark is movement for the wild. Our mission is to protect as much of the world’s biodiversity as we can and inspire people to reconnect with nature. The WildArk Journal brings you all the latest stories from the wild. As an organisation, WildArk is on a mission to protect as much of the world's biodiversity as possible, whilst connecting individuals with the wonder of our natural world.